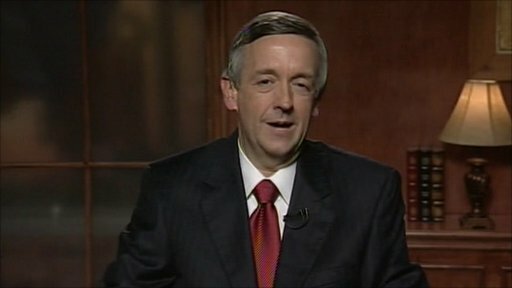 Last week Pastor Robert Jeffress of First Baptist Church of Dallas sparked intense debate in the US when he referred to Mormonism, the religion of two of the Republicans vying to be the party's presidential candidate, as a "cult". Here Newsnight's Jeremy Paxman talks to him about why he made the comment and the role of religion in politics in the US. Paxman started by asking Pastor Jeffress what his problem with Mormonism was. Broadcast on Wednesday 13 October 2011.